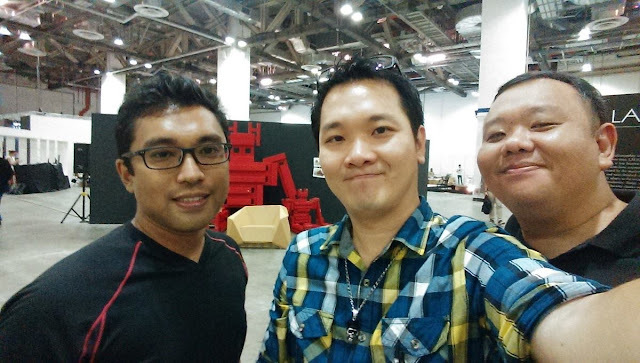 William Hooi (HacKidemia Singapore) and I checked out cardboard sculptor Bartholomew Ting's installation at the 100% Design Singapore show today! Now I have all sorts of crazy cardboard robot stories spinning inside my head, after our idea jamming session this afternoon. We'll share more information soon. Meanwhile, do check out some of his videos below! Absolutely inspiring.